Intrinsic Model Risk is a challenge with every risk system. The more complex the model, the higher the potential model risk. Extrinsic Model Risk, caused by input data errors and model configuration mistakes, can compound model risk significantly and cause severe distortions to risk optics. 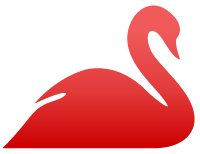 Red Swan's consulting experts deploy our software solutions to configure risk models and processes for optimal performance. By minimizing Extrinsic Model Risk, Red Swan improves the veracity and confidence of risk reporting. Maintaining optimal performance requires constant vigilance and responsiveness to prevent excessive model risk from creeping back into reports. Red Swan services provide ongoing maintenance, monitoring, diagnostics, and timely mitigation required to manage model risk effectively. Extrinsic Risk is model risk that can be controlled. With careful analysis and proprietary software, Red Swan experts mitigate model risk and monitor against its return. Intrinsic Risk is model risk inherent in any risk system. Properly configured models should be as close to this level of model risk as possible. Red Swan makes it easier to accomplish. Previous PostPrevious How can I model new security types in my portfolio and deploy to production without requiring a long development cycle? Next PostNext How can I validate modeling choices and mapping rules more efficiently?